What better way to ring in the New Year, than in your brand new Lake Country home! Phase 1 townhomes #55 and #57 from the Explorer 1 floorplan are available for possession now, starting from the mid $400s! Don’t miss this golden opportunity to own a home in the heart of the Okanagan at Oceola Landing! These homes feature 3 bedrooms, 2.5 baths, 9 ft ceilings and wood laminate flooring on the main floor, bright spa-like bathrooms, a gourmet kitchen and dining area, spacious living room and flex work station space. 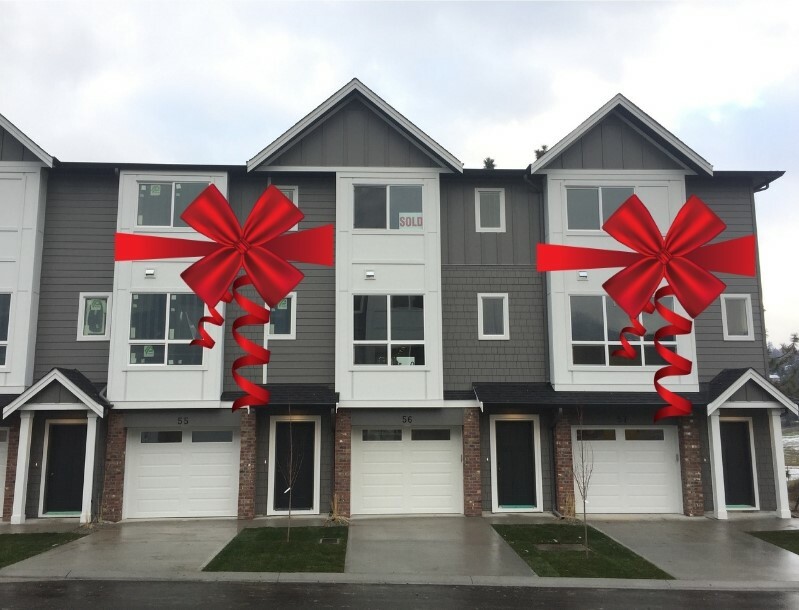 Visit our brand new Showhome Tuesday to Saturday from 12-4pm at 12075 Oceola Road in Lake Country! Phase 2 townhome #33 available early 2019 – Secure your interest now! Call our Property Specialist at 250-609-0488 to learn more about purchasing your new home at Oceola Landing. We’re Social! Be sure to follow us on Facebook and Instagram! Don’t forget to LIKE our Oceola Landing Facebook Page!